Princelet Street. Image by M@. 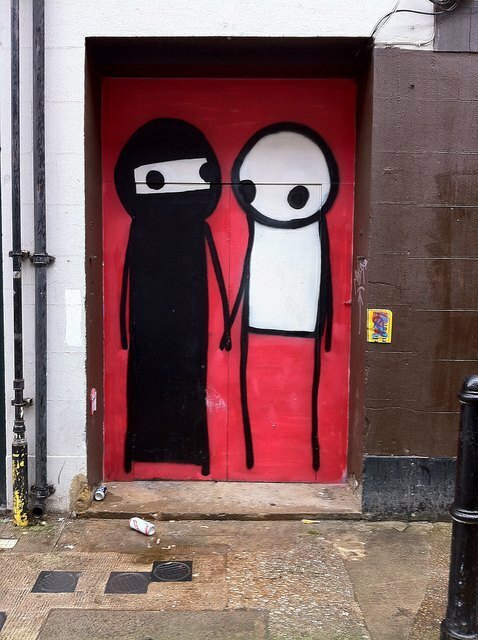 Where's Stik? Image by M@. 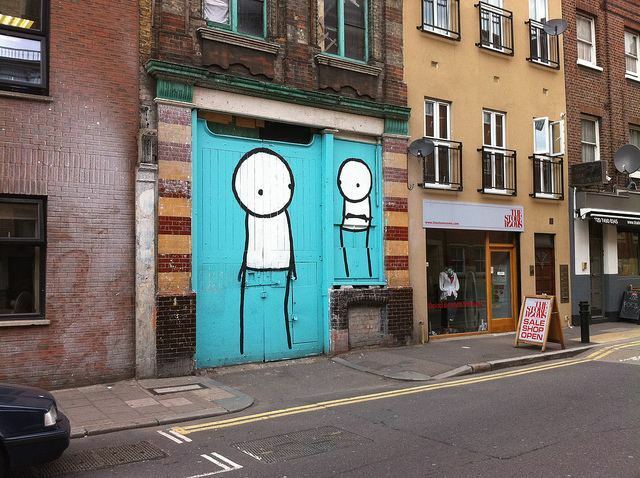 Angry Stik on Grimsby Street. Image by M@. 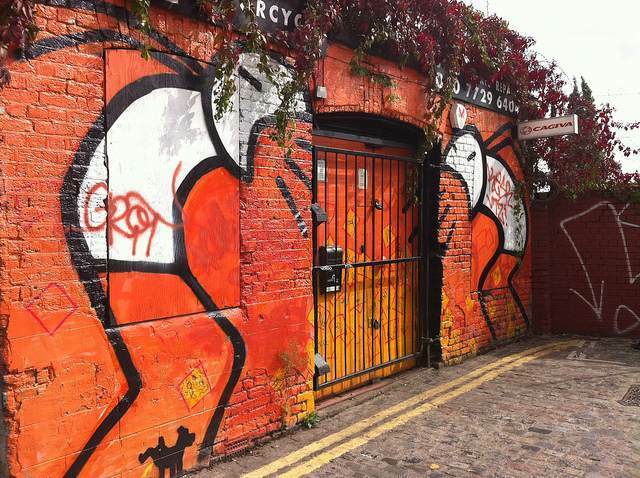 Pitfield Street. Image by M@. Torville Street. Image by M@. 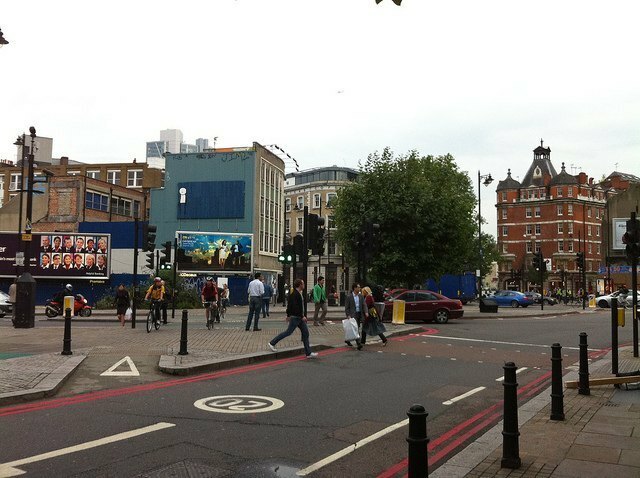 Curtain Road. Image by M@. Until recently, Banksy was the only street artist with any prominence in the public eye. Then Robbo made the papers thanks to a spat with Banksy. Next, Eine hit the news after David Cameron presented an example of his work to President Obama. Who will be behind the next headline? With this new series, we will pick a different artist each week and draw together examples of their work from across town, with a map to help you find them. Our first subject is Stik. 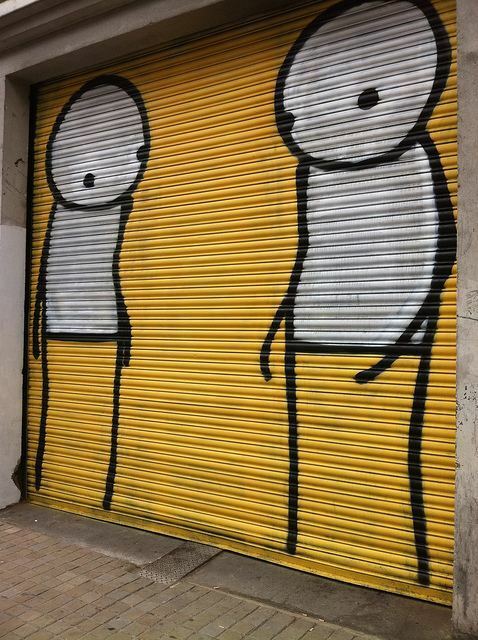 Anyone who's wandered round Shoreditch or Hackney will have seen his simple but striking stick figures, looming out from brightly painted shutters. 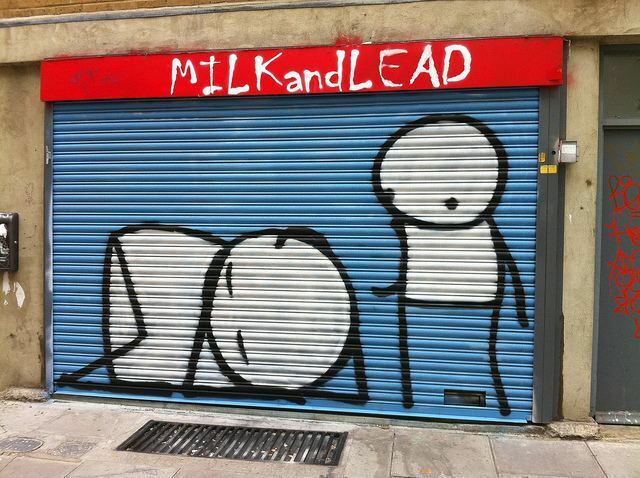 The simple forms can be remarkably expressive, especially when you encounter his work on a bleak Hackney back street on a grey Sunday afternoon. The artist speaks about his fear and vulnerability, emotions that come out in his work, in a video interview coinciding with his solo show last year. Another interview here. This map makes no claims to being comprehensive, but should be a good starting point for anyone wanting to see examples on the street - share the comments if you know of other locations for Stik's work and we'll add them to the map. Green = still there, red = painted over, yellow = status not known.